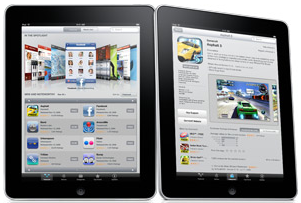 <firstimage=”//static.makeuseof.com/wp-content/uploads/2011/01/appsipad.png” /> Fortune magazine reports that over 6 million iPad apps were bought over this past Christmas season. If you were among the lucky ones to get the world’s most popular computing tablet, you no doubt will want to start filling it up with very useful free apps. I posted a list of the top 10 apps for the iPad The 10 Top Free Apps For The iPad The 10 Top Free Apps For The iPad Read More when the iPad debuted back in April, but since then several other top free apps have been developed or optimized for the iPad. Some of these apps have already been reviewed on MUO, but we’re including them again for new MUO readers and iPad owners. Note: each of the headings below is a link to the iTunes Store App Store, where you can download the free iPad apps in this list. If you”˜re new to the iPad, you will eventually realize that it lacks a traditional Finder where you can store and move files around. Apple wants you to use iTunes to import and export documents, PDFs, photos and other files, but the file sharing service, Dropbox, is a hundred times better as a Finder Dropbox - The Best Finder App For The iPad Dropbox - The Best Finder App For The iPad Read More . With a free Dropbox account and the Dropbox app for the iPad, you can export and import files easily via Wi-Fi and 3G access. Dropbox allows you to read documents, watch videos and listen to audio files without having to make a wireless connection to your main computer. Since last April, Apple’s eloquent e-reader iBooks Why Apple's iBooks Is The Best E-Reader For Making Annotations Why Apple's iBooks Is The Best E-Reader For Making Annotations Read More has been updated. Now it includes a way to both manage and read eBooks from the Apple Book Store, as well any PDFs you import into it. iBooks is a pretty full-featured reader, including annotation tools and the ability to print and email your annotations. If you download the same iBooks ebook on your iPad and other iOS 4 devices, Apple will keep the pages you read in sync between your devices. If you like getting your eBooks from Amazon instead, you will want to make sure you have Amazon”˜s Kindle app on your iPad. The app has similar features as the iBooks reader, but it also links to one of largest catalog of eBooks on the net. This app is well worth having for downloading free sample chapters of ebooks. Sure, you can add songs to your iPad from your iTunes library, but if you have a Pandora Radio account, you can also stream tunes to your iPad for free. This is another definite download. Even if you have a 64 GB iPad, importing lots of videos onto it will eat up memory space really fast. Air Video enables you to get streaming access to all your AVI, DivX, MKV and other videos over a local network, Wi-Fi and even 3G. You will need to also download the free desktop client app in order to use Air Video. If you have a Twitter account, you’re going to find the official Twitter app for the iPad both suave and easy to use. I’ve reviewed other free Twitter apps Forget Twitter's Official iPhone App: Use These Instead Forget Twitter's Official iPhone App: Use These Instead Now that we've told you why everyone needs Twitter in their lives, here's one more piece of unsolicited advice: don't use the official Twitter app. Read More , but this one should definitely be a part of your collection. Another elegant app for the iPad is Flipboard, which was named Apple”˜s iPad of the Year. Flipboard combines access to social networking sites, Twitter and Facebook, together with RSS news reading, including your Google Reader account. You’ll be awed by how it downloads and presents feeds and networking updates. For me, the iPad is the best tool for reading digital magazines. And for the most part, Zinio is a great app for subscribing to and downloading digital publications from its online magazine rack of over a thousand titles. While there are few desired features missing from this e-reader, it serves its purpose well. Read more about here Zinio - Read Your Favorite Magazines On Your iPad (or PC) Zinio - Read Your Favorite Magazines On Your iPad (or PC) Read More . If CNN is your go-to news and sports media outlet, you will be able to view a lot of its content right on your iPad. This well designed app opens with a visual display of US and world news stories and reports. Tapping on a photo brings up the selected news story. The app also features an audio hourly update of news. Even if you’re not a big on playing games on the iPad, you”˜ll still want to have a folder of apps for you and possibly your kids. Simply Solitaire is appropriately named. It’s easy to use, even if you have never played the game before. As with Twitter, there a several apps for the social networking site, Facebook. While not the official Facebook app (which I believe has not yet been optimized for the iPad), Friendly Facebook has received the highest ratings of all the free Facebook apps for the iPad. You can easily chat with friends, swipe through photos full screen, and switch between multiple accounts. Why Apple didn’t include a calculator by default with the iPad we’ll probably never know, but if you need a tool like this on your iPad, this one is free. However, I must add that if you think you will be using this calculator on a regular basis, you will probably want to upgrade to the 99 cents version because the app’s flashy ad can be a little obtrusive. Fandango Movies is my go-to app for when I want to view movie previews and read reviews of current movies, as well as get movie times and theater listings in my area. Well worth having on your device. If you are looking for way to do some quick photo editing on your iPad, the makers of Photoshop provide an image editor that you will find fairly easy to use. It includes features for cropping, exposure adjustment and enhancement, sharpening, and various brush effects. You can share and manage your photos to a free Photoshop.com account. Although Apple provides a set of very beautiful wallpaper for the iPad, this app provides 10,000+ backgrounds to choose from. You only need to download the ones you like, so it takes up very little memory. It includes 60 categories, including cars, girls, celebrities, holidays, night scenes, sports and beaches. One of the most widely published books of all time, the Bible, is also available for the iPad. This Bible app has a clean interface, annotation tools, and free access to other translations. You can even share passages via email, Twitter, and Facebook. There are several dozen recipe apps for the iPad, but you might want to start with this free one. Similar to the Epicurious.com website, the app contains hundreds of recipes, beautiful photos, and the ability to mark and manage your favorite recipes. However, if you want to sync selected recipes to say your iPhone, you will have to pay $1.99 for the recipe box feature. Another very useful reference app for the iPad is WebMD, which is based on the popular website of the same name. This app has a symptom checker, first aid essentials, a drug and treatment database, and a pill identification tool among other features. There’s no reason not have this app on your iPad. You no doubt would have used Google Earth on your desktop computer a few times, and while this iPad version doesn’t includes the 3D effects of the online version, it’s still looks just as great on the tablet device. In November, Apple finally made available their Find My iPhone app to all its iOS 4 mobile device users. So even if you’re not a MobileMe member, you can set up a free membership and use this app to locate your iPhone, iPod touch, or iPad. You can read more information about it here Find Your Lost Or Stolen iPhone, iPad Or iPod Touch with Find My iPhone Find Your Lost Or Stolen iPhone, iPad Or iPod Touch with Find My iPhone Read More . As you can tell from my list, I’m not a game-playing iPad user, so I didn’t want to be so bold as to recommend the best free gaming apps for the device. So all you gamers out there, please help me out. What game apps should make the list? And you, veteran iPad users, feel free to add your personal recommendations. I love the fact that these apps are free. Thanks for compiling them and saving people having to wade through lots of useless apps to find the good ones. Thanks for the feedback, Bricam, appreciate it. My favorites, in addition to those listed here, are Readdle, Evernote and MobileNoter. MobileNoter syncs with Microsoft OneNote and is easy to use with a great GUI. Zaraly, thanks for your list. Excellent choices as well. You do realize that telling people which religious text to install is tantamount to telling them which religion to subscribe to, right? Lol, I thought about that for a brief moment when writing the article. But hey, there’s no denying the fact that Bible apps are downloaded a lot, so I included it. Believe me (no pun intended), I’m not trying advocate a religion. In fact, I’m not even a religious person. I would hope that people can think for themselves and make up their own mind. They can download the app because they are of the Christian faith, or they might download the app because they simply are curious about what the Bible says. Do you think I should have left it off? you could then say the same about the cnn app too, then. Lol, I thought about that for a brief moment when writing the article. But hey, thereâ€™s no denying the fact that Bible apps are downloaded a lot, so I included it. Believe me (no pun intended), Iâ€™m not trying advocate a religion. In fact, Iâ€™m not even a religious person. I would hope that people can think for themselves and make up their own mind. They can download the app because they are of the Christian faith, or they might download the app because they simply are curious about what the Bible says. Do you think I should have left it off? I actually love this app. e.g. "Top 10 Best Free iPad Apps"
Queen77, I checked your site. Really good information there about the iPad. Thanks for stopping by.